In October 2017, a resident tries to connect electrical lines downed by Hurricane Maria in Toa Baja. Puerto Rican officials say electricity has returned to all residents without it after the hurricane. 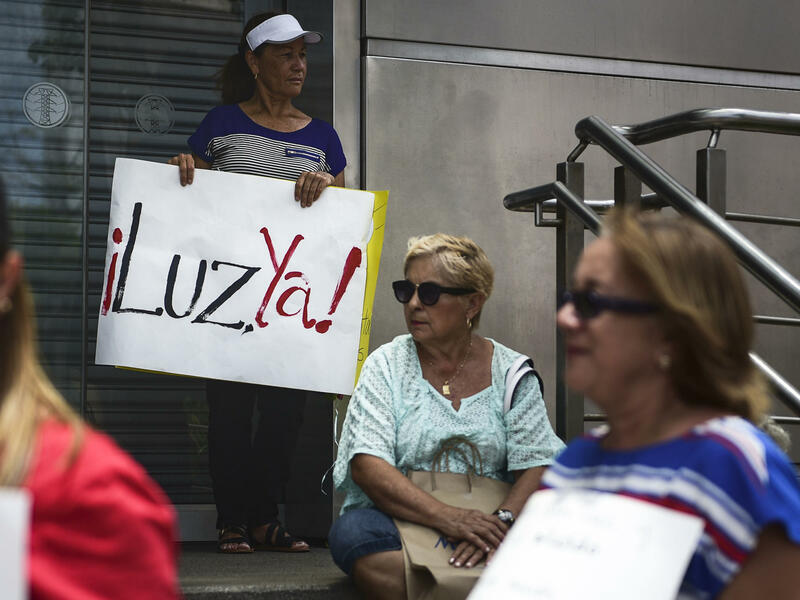 In this May 2018 photo, residents without power from the municipality of Yabucoa protested outside the Electric Power Authority office. A protester's sign read "Light now!" A PREPA engineer told ABC News that bringing power to the rural area took "more than two weeks working to make roads and excavators bringing and raising electrical poles." 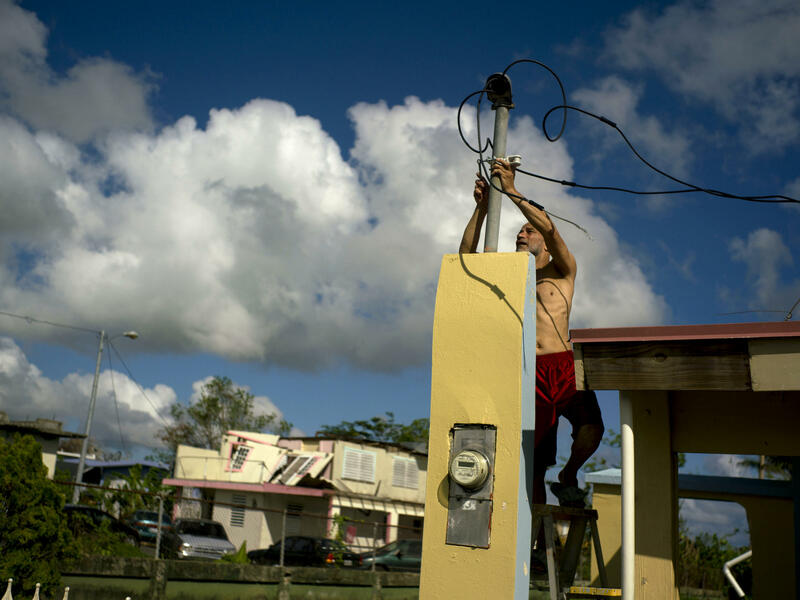 Some Puerto Ricans say PREPA's claims of total restorations are false. Residents in El Yunque National Forest in the island's northeast tell CNN that power has yet to be restored "because of a back-and-forth with the U.S. Forest Service and PREPA."